Symbiont is successfully applying blockchain to specific, concrete problems in the world of corporate finance. [Editor’s Note: The original version of this story indicated that Symbiont’s blockchain technology was to be integrated with the state of Delaware’s systems to “enable end-to-end automation of corporate securities administration.” It also implied that Delaware corporations, to use blockchain for that purpose, would be bound to Symbiont’s technology. According to a spokesperson from Delaware’s department of state, both of those statements are incorrect. The Delaware spokesperson says Symbiont participated in brainstorming efforts about future blockchain projects for the state, but never had a formal relationship with the department of state at any time. The state department also disputes that Symbiont helped write the legislation that recognized blockchain as an acceptable form of recordkeeping for Delaware-registered corporations. The entirety of the list appears in the April/May 2018 edition of CFO magazine. We are revealing the first 10 companies on CFO.com, one per day. Our first nine tech companies to watch were Pymetrics, Prattle, Tipalti, UiPath, Exabeam, x.ai, Emagia, Adaptive Insights, and Duo Security. A lot of people talk about applications for blockchain like they talk about renovating their basement: the talk doesn’t result in much action. But Symbiont, a startup, is earning revenue and actually succeeding in applying blockchain to specific, concrete problems in the world of finance. 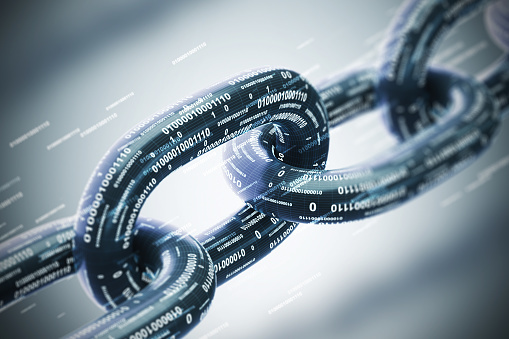 Blockchain is the much-hyped, digital distributed ledger technology that records transactions chronologically and publicly without a central administrator. It powers the cryptocurrency bitcoin, but many entrepreneurs are trying to adapt it for other business uses. When one of the founders of Symbiont, CEO Mark Smith, first set out, he was looking for a technology to solve some of the market weaknesses exposed during the 2008 banking crisis. Among them were the dangers of counterparty risk. “We were looking for a way to bring markets back to their natural state, which is decentralized and distributed,” says Smith. By 2014, the company was developing what Smith calls “a novel and purpose-built” proprietary blockchain and smart contracts solution for certain areas of the capital markets. (A smart contract is a computer protocol designed to digitally facilitate, verify, or enforce the negotiation or performance of a contract.) Four years later, Symbiont’s traction with blockchain applications for corporations is somewhat startling. In August 2017, Delaware passed a law (which Symbiont says it helped write) recognizing blockchain as an acceptable form of recordkeeping for Delaware-registered corporations. They can issue shares and manage ownership records using blockchain technology. The law will enable end-to-end automation of corporate securities administration, from inception to maturity. Symbiont is also “on a very long roadmap” with index fund giant Vanguard Group to develop several blockchain products. The first is an effort to automate the distribution of equity index data. When Vanguard receives information about corporate actions that requires it to rebalance its passive funds, the process requires “massive amounts of internal reconciliation, and is fraught with errors due to the use of database replication and screen scraping,” says Smith. Successful distribution with the Symbiont blockchain has already been tested for two quarters with data provider CRSP. Finally, Symbiont, along with several partners, has tested a working solution to automate the servicing of syndicated loans. Symbiont has plenty of competitors in the race to realize the promise of blockchain. They include the IBM Hyperledger project and even the bitcoin and ethereum blockchains. But many of the open-source projects, in particular, are “not ready for prime time in financial markets,” says Smith. The rash of initial coin offerings of cryptocurrencies, which Smith calls “a horrible black eye on our ecosystem,” is another obstacle.